We take tremendous care to achieve our mission every day: To dignify and transform long-term care in the eyes of the world. We do that by enacting a pledge to our core values, which foster a culture of integrity and compassion for our patients and their families. These commitments ask everything of us. They require each of us to explore a profound, and continuously evolving understanding of leadership. Every Ensign affiliate is a leader; it’s part of the agreement we made when we accepted our respective positions. As partners in this endeavor, we are offered an opportunity to be part of something much greater than ourselves. It’s in this context that I find myself wondering how to be a better partner to each of you and a better leader, especially in practical terms. What does it actually look like, as a set of behaviors and outcomes, to be a leader? Good to Great revealed the traits of great leaders, and we’ve benefited from learning from these examples. We know that taking responsibility, being humble, getting the right people on the bus, being able to ask for help and leading with passion are essential characteristics and skills for building great organizations and realizing our mission. Fortunately, many people are asking similar questions, in every industry sector. Extensive research has been done to help us grapple with these central concerns and effectively answer them. Leadership Agility is based on the rigorously researched developmental framework presented in the award-winning book Leadership Agility: Five Levels of Mastery. The three dimensions of this framework are summarized below. Expert: Managers who operate at this level of agility use their technical and functional expertise to make tactical organizational improvements, supervise teams, identify and solve key problems, and sell their solutions to others. Research indicates that approximately 45 percent of today’s managers operate at this level of agility. Achiever: Managers who function at this level of agility use their managerial skills to set clear organizational objectives, lead strategic change, motivate and orchestrate team performance, and engage in challenging cross-boundary conversations. 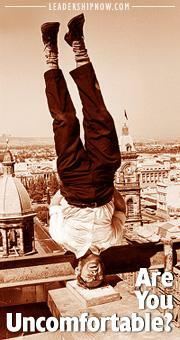 About 35 percent of today’s managers operate at this level of agility. Catalyst: Those rare managers who have developed this level of agility are visionaries who can lead transformative change, develop high participation teams, and collaborate with others to develop creative, high-leverage solutions to tough organizational issues. About 10 percent of today’s managers operate at this agility level. As change accelerates and the world continues to become more complex, the need increases for more Experts to become Achievers and for more Achievers to develop the capacities and skills needed to operate at the Catalyst level. In this increasingly turbulent environment, teams and leadership cultures are challenged to undergo parallel developments. If your curiosity is sparked and you’d like to learn how to reach your next level, reach out to Willow Dea at WDea@EnsignServices.net to take a self-assessment. It takes about 10 minutes, and you’ll leave with a clear understanding of exactly what you can practice to become the leader you aspire to be.